Chilliwack, B.C. (Sponsored) – In 2013, Chilliwack’s Kim Gemmell published a book that hit home for so many people. Her son was born with many challenges and as it took its toll on the family, Kim, her son and the family managed to struggle their way through. 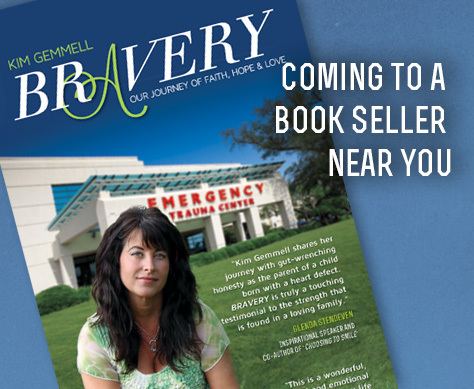 “Bravery” received rave reviews and Kim continues to expand her message of hope through social media and spoken word. The book has its own website. The Bravery Facebook page is here. You can order the book through Amazon. One review states : “Happy, peaceful lives can be swept up in a whirlwind of upheaval and disaster. Kim Gemmell knows this all too well after her quiet life spirals out of control when her second child, her son Avery, is born with a serious, life-threatening heart defect. Having a baby is supposed to be one of the most joyous experiences in a woman’s life—but not this time, not for Kim. Be the first to comment on "Book Review – Bravery – Chilliwack Author Kim Gemmell"